The Russian defense ministry seems to have decided to start saving. 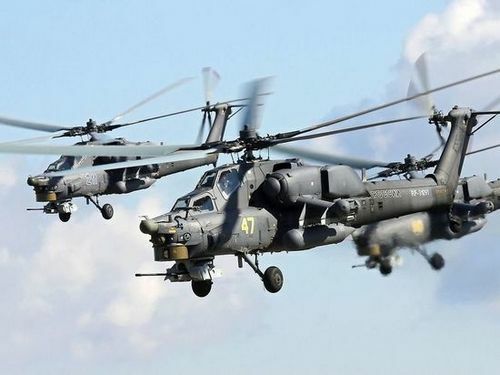 According to several sources of Interfax, they are going to abandon the purchase of new attack helicopters Mi-28NM “Night Hunter” because of their too high price. Allegedly, the military for a long time tried to reduce the final cost of the production machine Mi-28NM, but in the holding “Helicopters of Russia” did not go for it. What is really behind this decision, “MK” on condition of anonymity told a source in the aviation industry. According to some reports, when the helicopter builders and the military could not agree on the final price of the Mi-28NM batch, it was decided instead of buying new helicopters to upgrade the old Mi-28. And besides, think about increasing purchases of Ka-52 helicopters. And here, when the name of the Ka-52 car, a helicopter created at the company, Kamov, a longtime competitor of the Mil company, which created the Mi helicopters, pops up, some things start to fall into place. Traditionally, both design schools, the Kamov Design Bureau and the Mile Design Bureau, have been producing excellent, world-wide recognized machines for more than half a century. Kamov’s firm was mainly focused on carrier-based aircraft. Firm Mile made more traditional helicopters for army aviation. And all these years, since the creation of both design schools, there is fierce competition between them. It remained today, despite the fact that they are now merged into a single holding, Russian Helicopters. And as soon as the Ka-50 (the predecessor of the Ka-52) and the Mi-28 helicopters appeared, they immediately descended into fierce competition. The machines were thought back in Soviet times as a result of a military helicopter competition announced by the military. For almost 10 years, army aviation could not decide what to buy. As a result, they made a “Solomon’s decision” – to buy both. We do not think that such an approach to the program of creating combat helicopters is very costly. The presence of two types of helicopters in the fleet of army aviation extremely increases the cost of their operation. It seems that today we continue to compete not with a foreign manufacturer, but with each other. And this interferes with the cause. Social Media Predictions: Can MI Come Back to Winning Ways in IPL 2018?